Category: Books, Card Decks and Divination, Self Help & Personal Development Tags: Dominic O'Brie, Flash Cards, memory, memory improvement, Memory Techniques, Memory Toolkit. Tips, Tricks and Techniques to Remember Names, Words, Facts, Figures, Faces and Speeches. A complete practical system for improving your memory with a unique journey map and 50 flash cards packed with tips, techniques and mind-expanding tests. 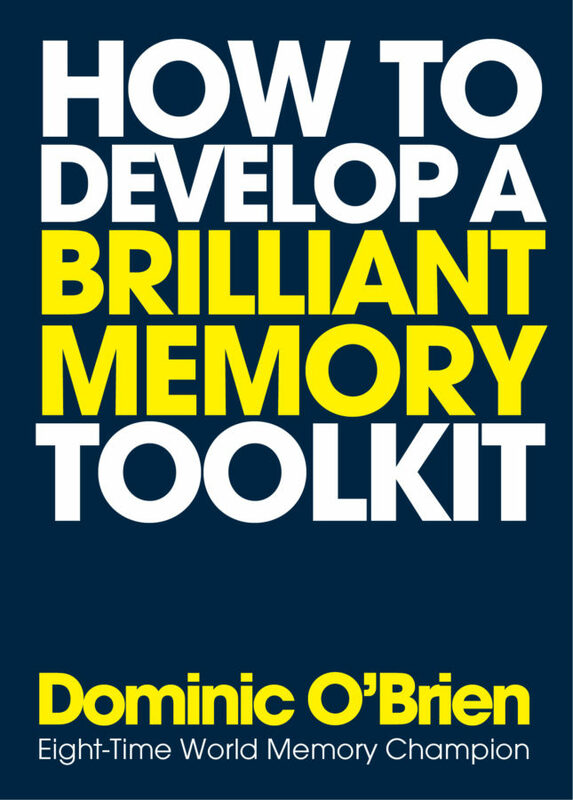 In this highly original publishing package Dominic O’Brien reveals the secrets of mastering the art of memory and provides us with a basic tool kit for boosting our skills of memorization and recall. The kit consists of three components: a 88-page introduction to memory techniques that reveals the what, the why and the how of Dominic’s proven methods; a pictorial memory journey map to be used in conjunction with the Journey Method, a basic and highly versatile memorization procedure that exploits the power of mental association to provide unforgettable cues for recall; and, lastly, a deck of 50 flash cards providing tips and techniques (and self-testing exercises) on one side, and, on the other, numbers and drawn objects to practise on, using the journey map or other tricks of the trade described in the book. The key to improving your memory is two-fold: knowing the expert methods devised by one of the most retentive and focused brains in the world, and practising them until you see marked improvements in your performance. This toolkit is all you will need to train yourself to be a memory maestro.